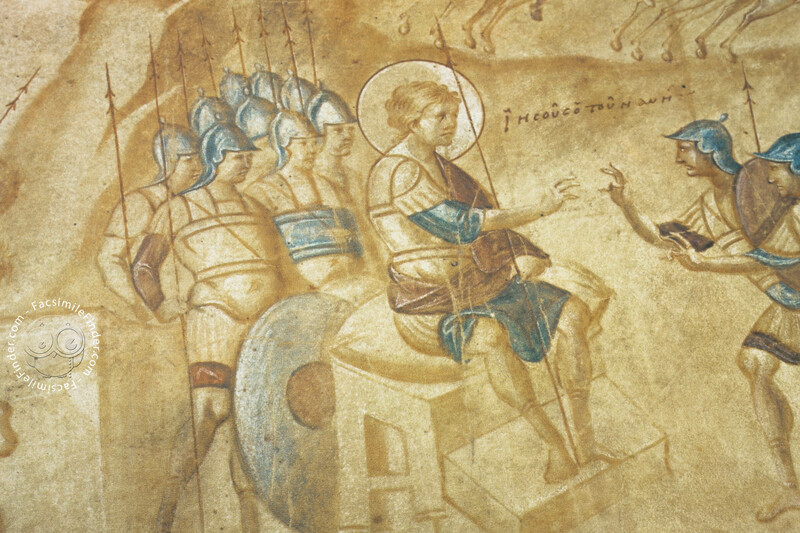 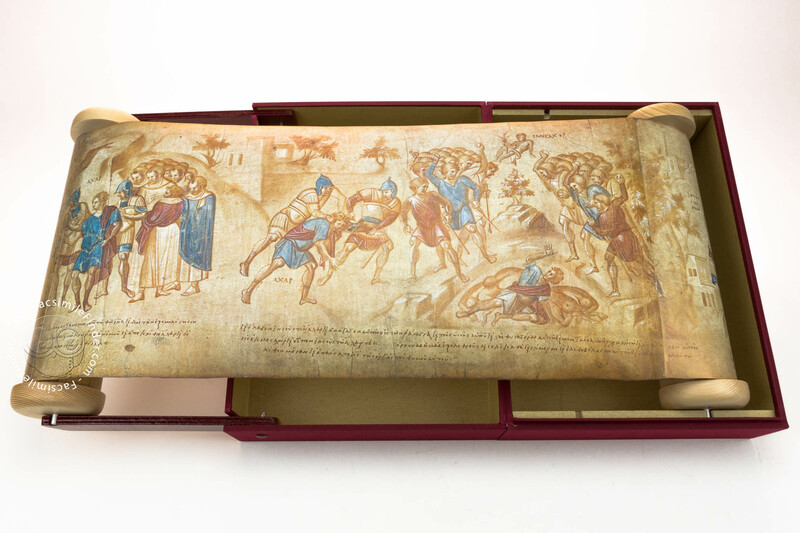 One of the few outstanding manuscripts crafted at the Imperial Court School of Byzantium, the Joshua Roll is now preserved in the vaults of the Vatican Apostolic Library. 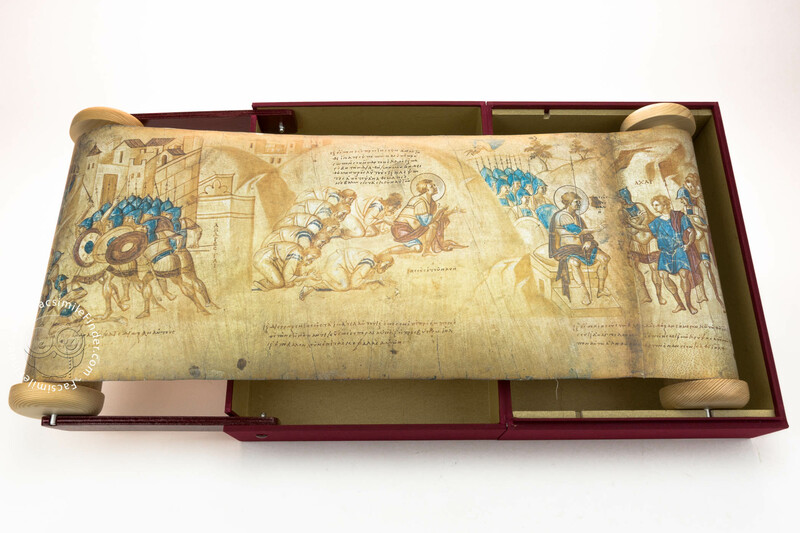 Executed around the 10th century, during what scholars have termed the Macedonian Renaissance, it contains the Old Testament Book of the prophet Joshua with various additions in a decorated frieze-like cycle, manufactured in grisaille painting. 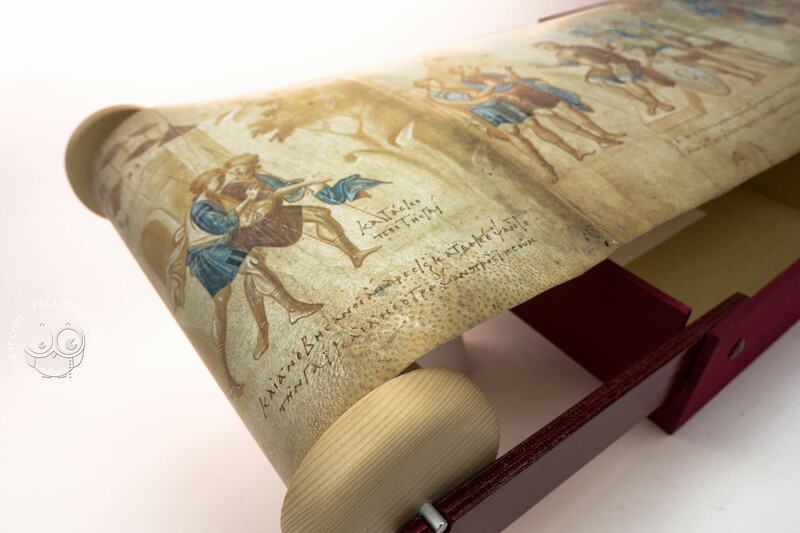 Illustrated scrolls like the Joshua Roll may have been inspired by classical triumph columns that were re-discovered roughly when this illuminated book was produced. 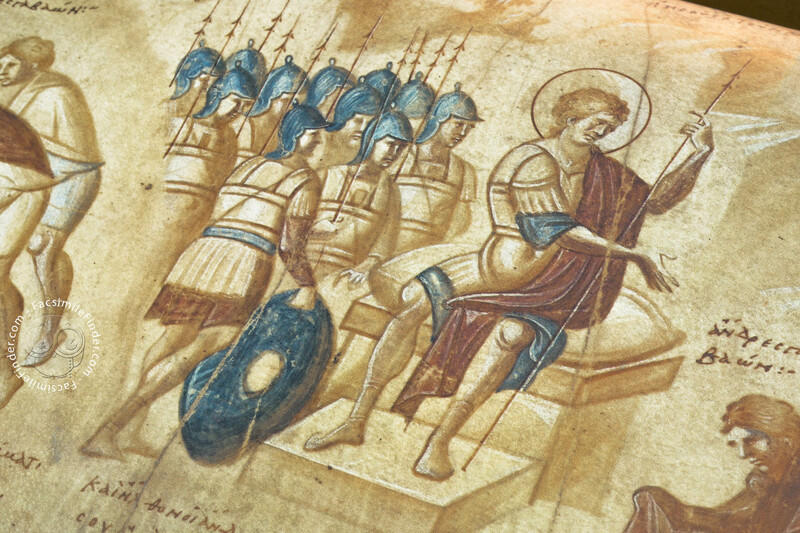 Generally considered to have been influenced by Greco-Roman styles, it was crafted by artists of the Imperial School who worked in a together in various stages. 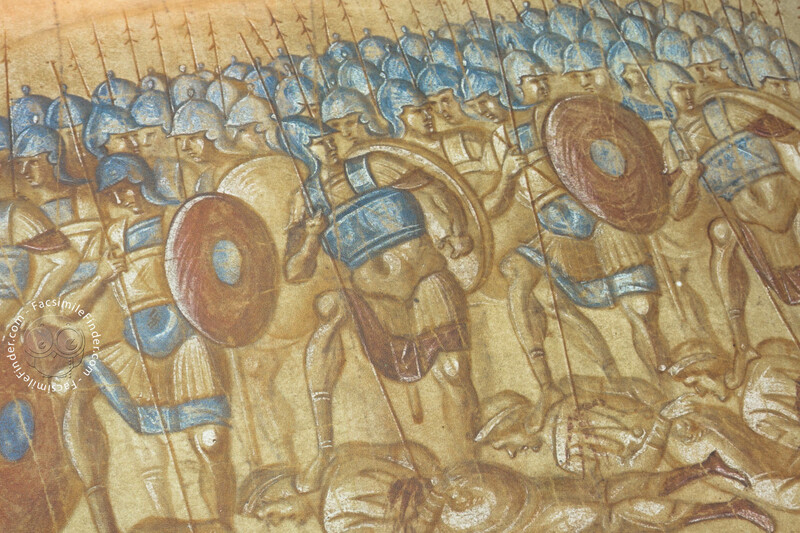 The illustrations and drawings of the manuscript were executed by artists; the coloring, on the other hand, must have been added later in time. 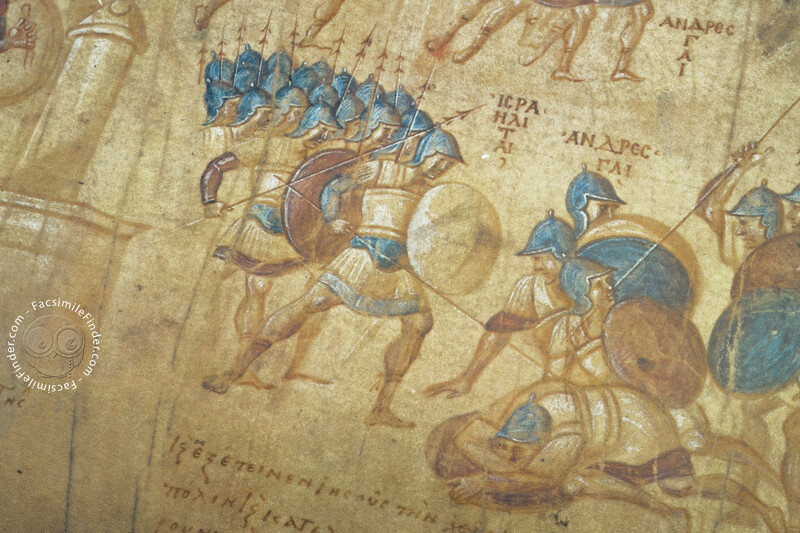 The script used in the text is a mix of Greek majuscule and minuscule, possibly one of the best examples of these two kinds of scripts. 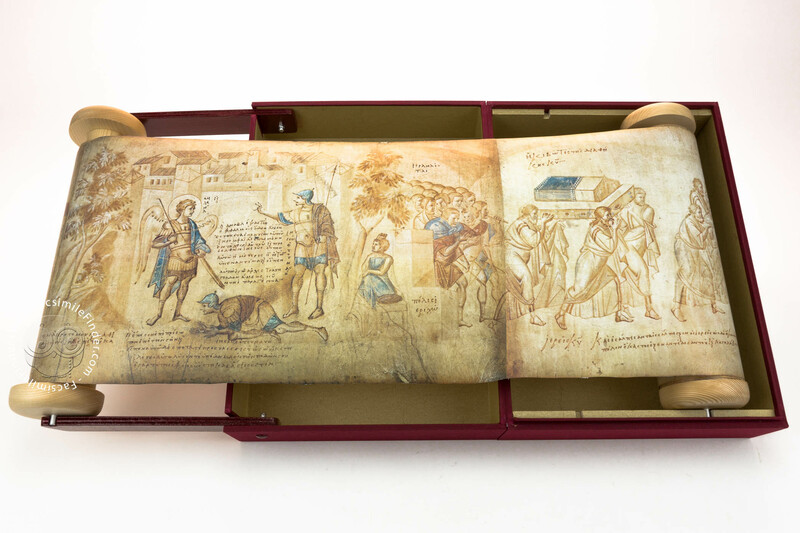 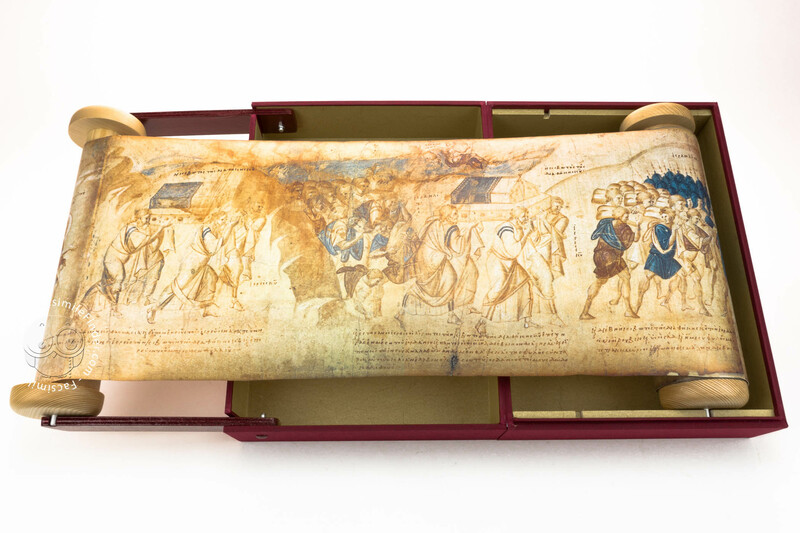 The Joshua Roll is an absolute one-of-a-kind in the field of both manuscript production and illumination. 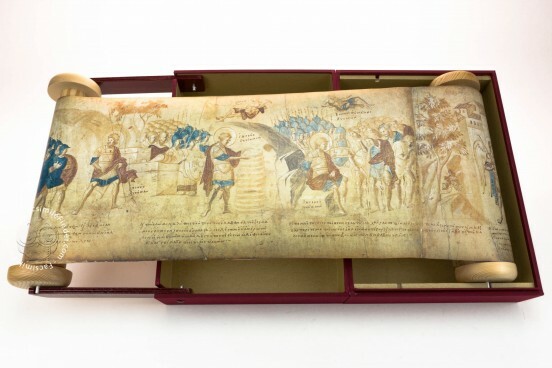 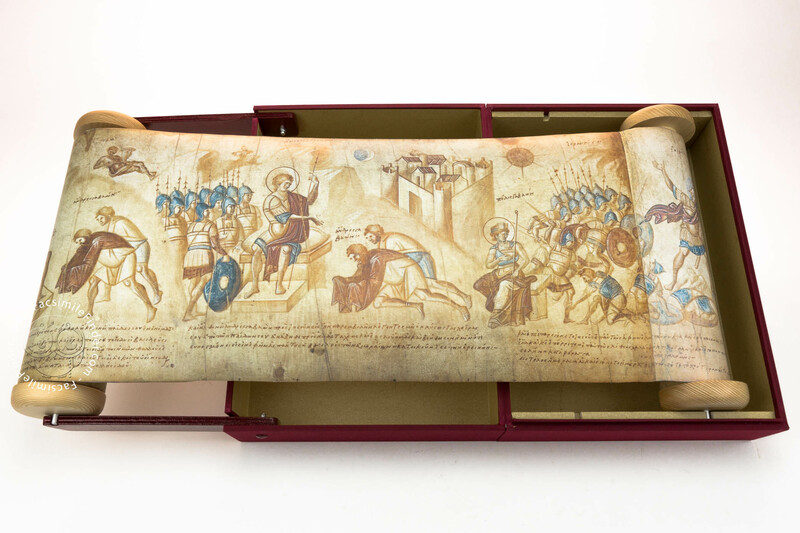 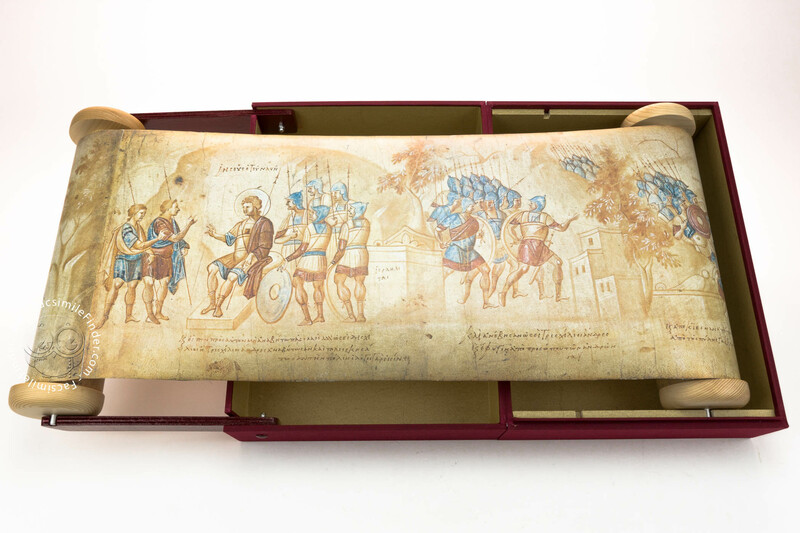 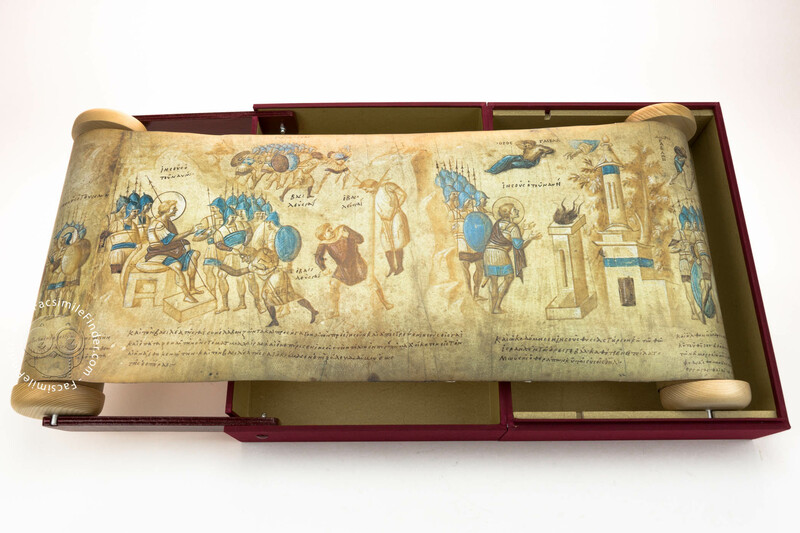 Why this roll was made is still a mystery, but it looks likely that the book was produced in order to celebrate the success of Byzantine armies in the Holy Land: after a years-long struggle to free Jerusalem and its surroundings, the Greek army was eventually able to recapture it from Arab hands in the 10th century. 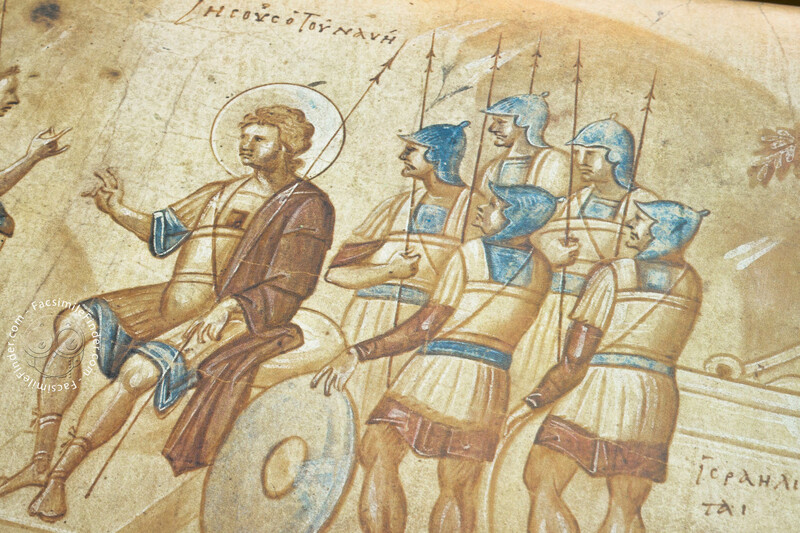 Though the book contained an opening part that is missing nowadays, the main section of the Book of Joshua is present in full, in its Septuagint Greek version translated from Hebrew. 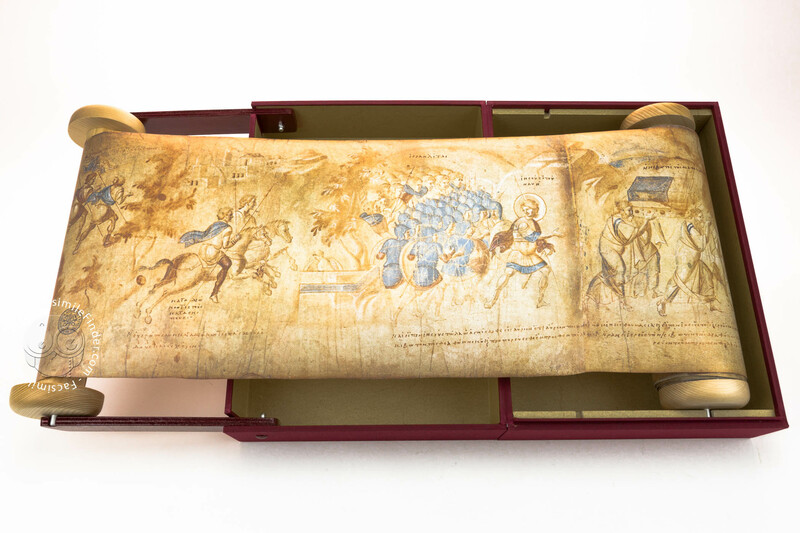 Full-size color reproduction of the entire original document, Joshua Roll: the facsimile attempts to replicate the look-and-feel and physical features of the original document; pages are trimmed according to the original format; the binding might not be consistent with the current document binding. 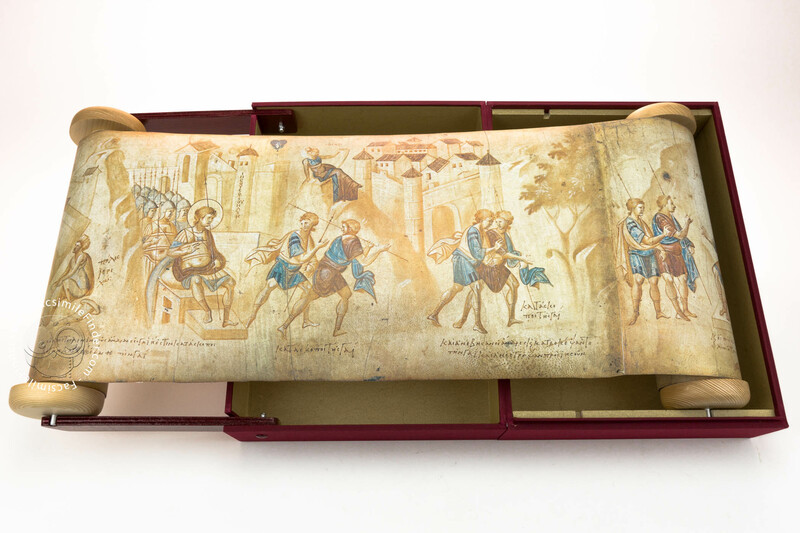 The individual segments are pasted together to form a roll which is mounted on two wooden supports. 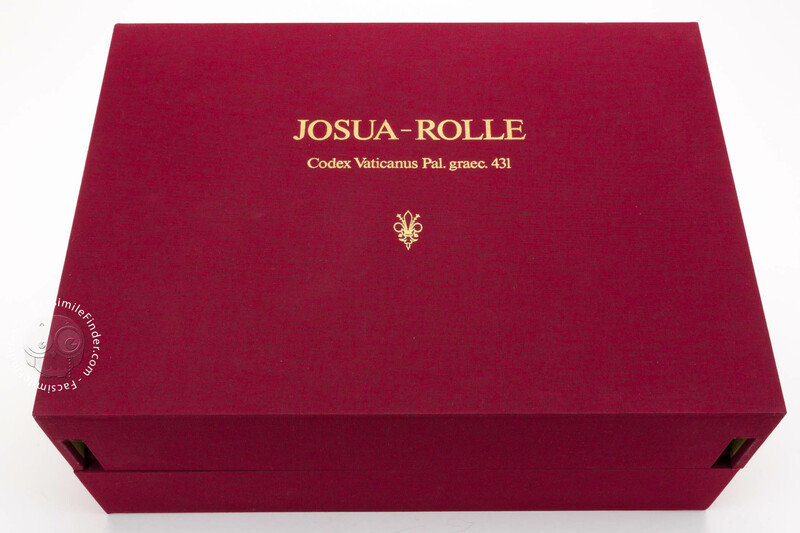 The roll comes in a solid, cloth-covered case which can be folded open for easy use.